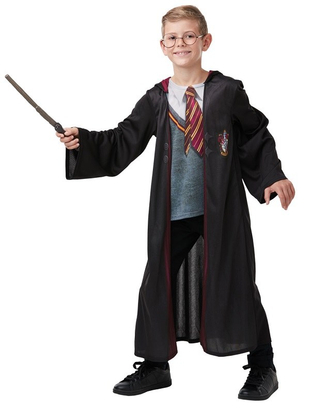 Wrap yourself in Harry Potter's robe and imagine the Sorting Hat had chosen you to join your friends at Gryffindor House. 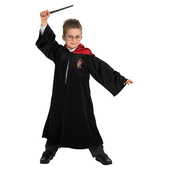 What wonderful tricks will you play on the Muggles you meet? 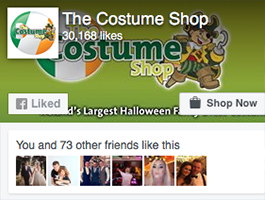 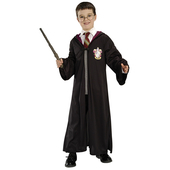 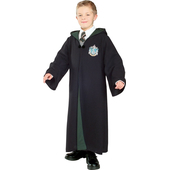 Included in this costume is a hooded robe with an attached printed top. 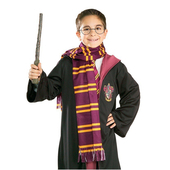 To complete the wizard look a wand and a pair of glasses are also included.